The American Gamebird Research Education & Development (AGRED) Foundation is a 501(c)3 non-profit organization that now privately owns Lake Erling, located in beautiful Lafayette County, Arkansas. We endeavor to ensure that Lake Erling remains a relaxing and enjoyable place for residents in the surrounding communities. AGRED’s primary objective is to preserve and conserve the habitat in and around Lake Erling for the wildlife, birdlife, and fish. LAKE ERLING, Ark. (KTAL/KMSS) – Wet weather doesn’t put a damper on an annual event celebrating those who’ve served our country. 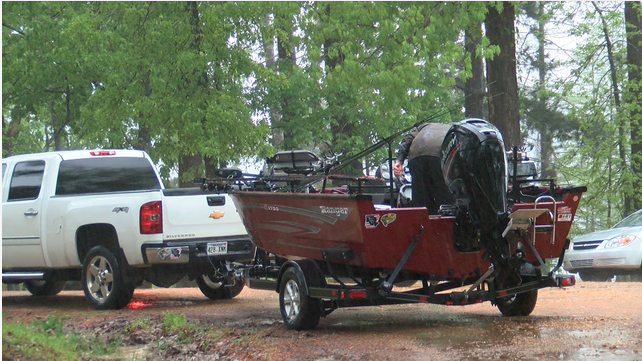 More than 30 teams of veterans and boat captains set out on Lake Erling Saturday for the annual AGRED Foundation Wounded Patriots Fishing Tournament. All organizations hosting fishing tournaments at the AGRED Park on Lake Erling, which is a private lake open to the public, will be required to provide a port o let at their expense for the event. Once the event is concluded it is the organizers responsibility to remove the port o lets from The AGRED Park, which is private property.